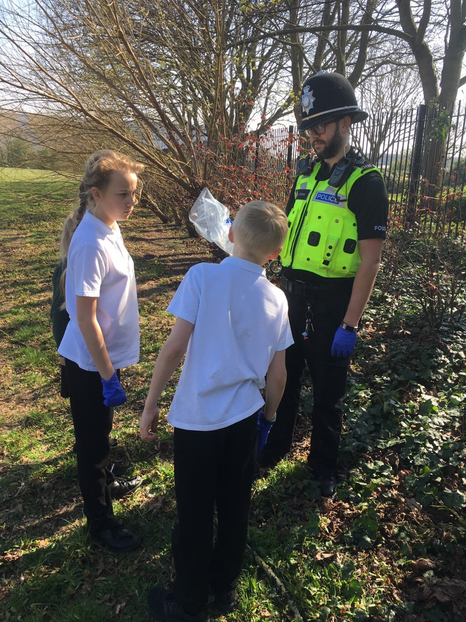 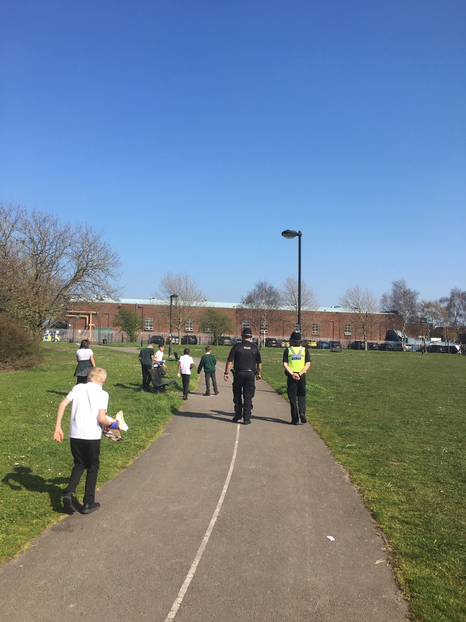 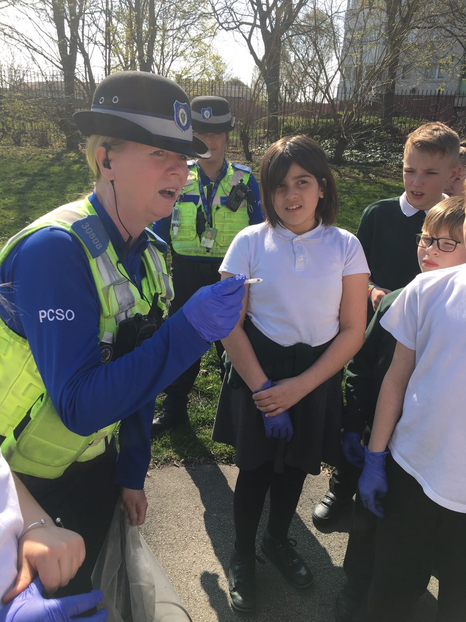 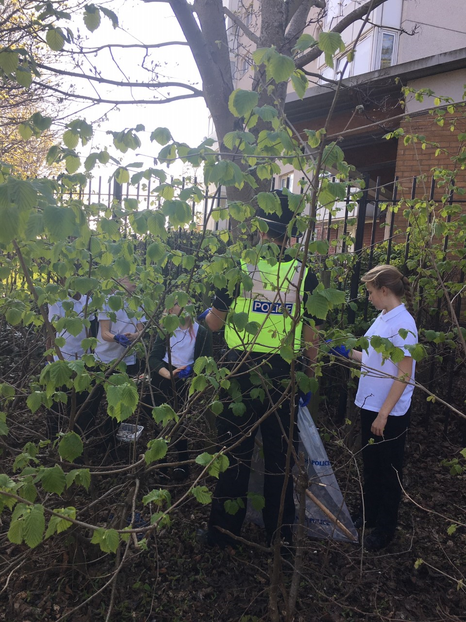 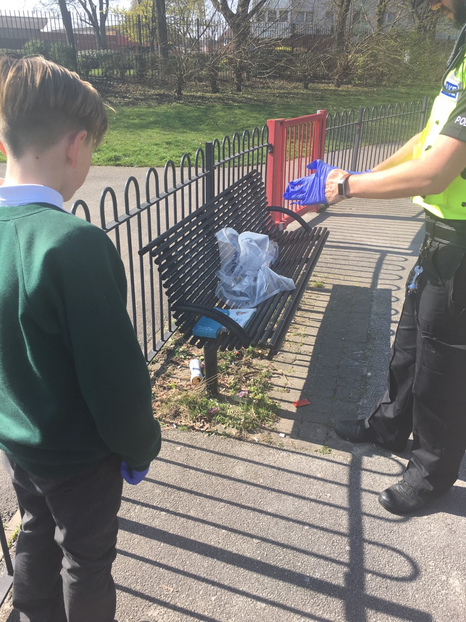 Community weapons sweep: we joined the local community police officers last Friday to conduct a weapons sweep of Sorrell Park as part of the ongoing work against knife crime and violent crime. 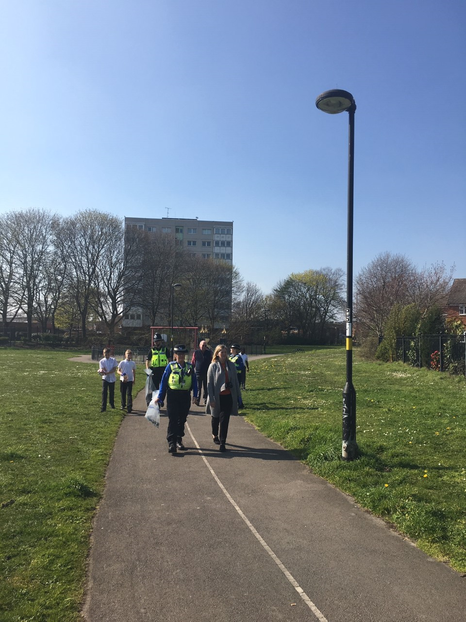 Councillor Mike Sharpe was also there, and commented that the children were ‘a credit to you and the school’. 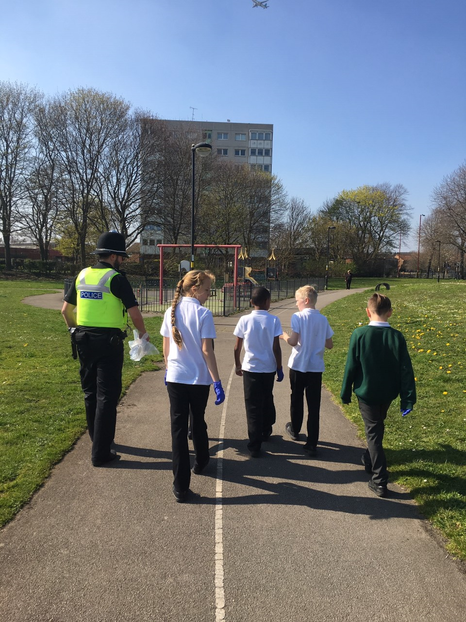 He is planning on speaking with the Lord Mayor’s office to arrange for us to be invited to the town hall in recognition of our efforts!